With a strong work ethic that began first in the military working as an officer in supply and transportation and later as an electrical contractor, Wilber Stuart II developed the expertise and leadership skills necessary to forge a successful enterprise. In 1968, he joined his father's electrical contracting company, Stuart Electric, determined to bring the highest level of service to the industry — one that focused on top quality and impeccable values. 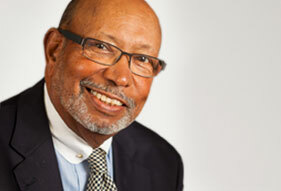 In 1978, he formed Centrex Electrical Supply Corporation. Today, as president of Centrex, Mr. Stuart has built on this extraordinary foundation with the unmatched experience of over five decades in the industry. Wilber Stuart III quite literally "grew up" in the electrical business. Beginning in high school as an apprentice to his grandfather at the company that carried the family name, Stuart Electric, the younger Mr. Stuart learned from one of the best not just the trade, but also how to conduct business the right way. He would later employ that knowledge in building his own electrical firm, which he owned and operated for years. After joining Centrex in 2000 and becoming vice president, Mr. Stuart now works alongside his father, where the duo is dedicated to making Centrex the supplier of choice for major contractors, construction companies and businesses nationwide. Centrex has always been a part of Susan Stuart’s life. As a child, she spent her days roller skating in the company’s warehouse, and now she is the Chief Brand Officer of the company. Ms. Stuart grew up watching her family create a successful business, which inspired her to create her own design firm, Stuart Design. Even as president of her own company, she still finds time to be highly involved in her family’s business. As CBO she oversees the brand’s image, experience and promise. She manages Centrex’s marketing, advertising, design and public relations. Ms. Stuart is also involved in the customer service department and does work in sales as well. A native of St. Louis, Ms. Stuart earned her MFA in Graphic Design from the Savannah College of Art and Design, and her Bachelors in Art and Communication from Xavier. Ms. Stuart has always enjoyed “giving back” to her industry through teaching, and has taught at the collegiate level for several years. 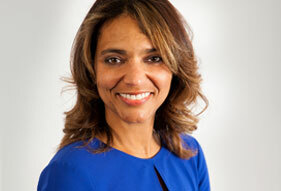 Currently, she is an adjunct instructor of art at Roosevelt University and sits on the board as Academic Council for Robert Morris University. Ronald Sangster, Sales Manager at Centrex with more than three decades of service is no stranger to the electrical distribution industry. After graduating from Southern Illinois University, Ron started with Graybar Electric Company St. Louis, MO as a management trainee. He then moved on to Graybar New York where he supervised the inside customer service team and later the international customer service team. A position as Middle East Sales Manager took Ron to Saudi Arabia and in short order Graybar’s market share expanded significantly. After service there, Ron returned to New York and took the domestic and international commercial and industrial markets to new heights. 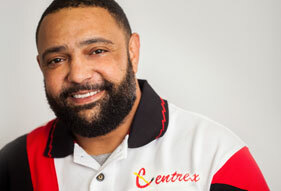 At Centrex, Ron trains and manages all new sales representatives readily sharing his knowledge and years of experience. His key advice “You must love what you do to do it well.” He is responsible for development and sales to the commercial and industrial markets. 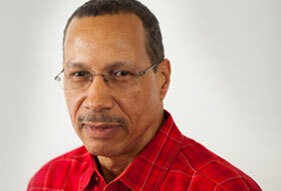 Mr. Sangster’s success as a leader and sales manager has resulted in an increase of annual sales for Centrex. © 2014 Centrex Electrical Supply. All Rights Reserved. Terms and Conditions.